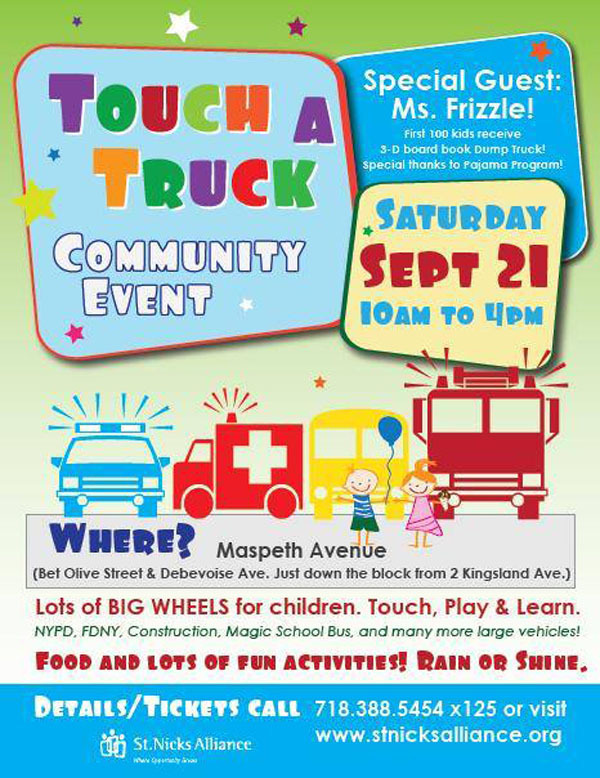 This Weekend: Touch A Truck! I cannot resist passing this one along. This upcoming Saturday, September 21st, starting at 10:00 a.m. the folks at St. Nick’s Alliance will be hosting “Touch A Truck”. Need I say anything more? In any case I have inquired as to whether there will be a Department of Sanitation vehicle at this event. I have been told they were definitely trying to procure one. Guess we’ll have to go and find out! September 21, 2013 starting at 10:00 a.m.